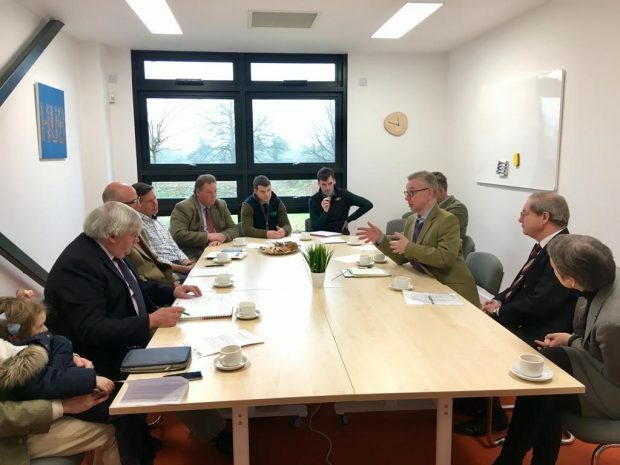 Today (23rd November) the Environment Secretary Michael Gove visited the Royal Agricultural University (RAU) in Cirencester. During his visit he toured the university’s campus and Rural Innovation Centre at its Harnhill Manor farm, where he met the Vice-Chancellor Professor Joanna Price and a number of students. As part of its strategy the RAU is focused on attracting people from a wide range of backgrounds into the agri-food and land management sectors, giving them the practical skills they need. It was fantastic to meet students and staff in Cirencester and see first-hand the training and development of skills that are so vital for the industry’s future. I was particularly interested to see the emphasis on farmer-led innovation and the opportunity for students to explore, develop and share their own ideas.“Our landmark Agriculture Bill, which is currently going through Parliament, makes this an exciting time to be a young farmer or new entrant to the sector, with the opportunity to farm in a greener and ultimately more productive way. He then visited the Gloucestershire Wildlife Trust, where met with local members and stakeholders to discuss the latest work they are focusing on and the benefits it will be provide for local wildlife.